Your passport carries great importance when it comes to travel abroad. For that and other reasons, some countries require a passport to have a minimum validity time before crossing their border. It does not matter whether your choice to enter is by air, land, or sea. The law that these countries implement is known as Six-Month Passport Validity Rule. Hence, you must abide by it or else you will be sent back to your previous destination. What does Six-Month Passport Validity Rule Mean? The Six-Month Passport Validity Rule suggests any passport used to enter a country, which practice this rule, must have a minimum of six months validity before it expires to enter the country. There are way more countries that impose this rule than don’t. So, during your vacation planning, make sure your passport has enough validity and if the country you will visit abide by this rule. Apart from the Six-Month Passport Validity Rule, some countries have the Three-Month Passport Validity Rule. This rule is similar to the Six-Month Rule but instead uses three months validity so that a passport holder can enter. 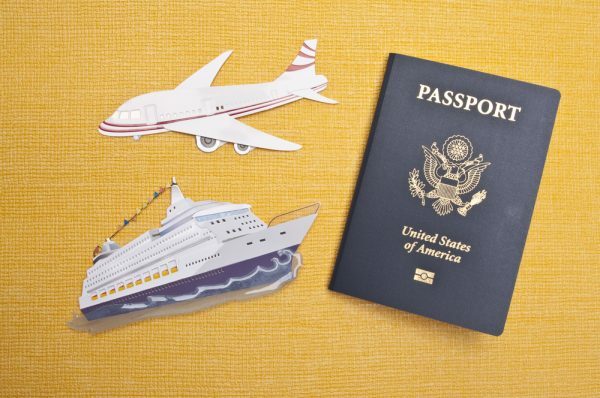 In any case, it is always best to travel with a passport that exceeds Six-Month validity. It will give a chance to prepare for any unforeseen circumstances that may arise during your vacation. Many countries implement the Six-Month Passport Validity Rule. However, most European countries do not, but instead use the Three-Month Validity Rule. The European nations signed a treaty known as the Schengen Treaty. All the countries in Europe implement the Three-Month Rule except for the UK and Ireland which follows the Six-Month Passport Rule. Apart from passport validity, some countries require a passport to have on one or two blank pages. So again, be aware of these countries immigration rules before you visit. Bahrain, Bangladesh, Bhutan, Bosnia and Herzegovina, Brunei, Bulgaria, Cambodia, China, Indonesia, Iran, Iraq, Israel, Jordan, Kuwait, Kyrgyzstan, Laos, Malaysia, Mongolia, Myanmar, Nepal, New Caledonia, North Korea, Oman, Pakistan, Qatar, Russia, Saudi Arabia, Singapore, Sri Lanka, Tajikistan, Thailand, East Timor, Turkmenistan, Turkey, United Arab Emirates, Vietnam, West Bank/Gaza Strip and Yemen.